Lohia Auto, formed in the year 2008, is the automobile division of the globally acclaimed Lohia Corporation. In 2014, company did a 50:50 joint venture with UM Motorcycles to form UML brand. Lohia Auto has been vigorously engaged in the light commercial vehicle space of the Indian market. Lohia Auto with the notion of making progress towards creation of better modes of transportation has been offering Lohia Humsafar Cargo since 2012. 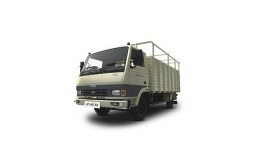 The lightweight cargo has been crafted to suit jam packed Indian driving conditions with excellent mileage and low operating cost. The company has been impeccably working for greener environment; hence it has transformed itself to the latest BS-IV standards. Besides having a sound presence in the diesel three wheeler commercial space, the company is one of the few to have introduced electric three wheelers as well. The company has been in association with SIAM and is one of the founding members of SMEV (Society of Indian Automobile Manufacturers). The joint venture has a manufacturing facility in Kashipur, Uttarakhand from where it is being exporting its products to regional countries. With over 24 dealerships and wide service network across India, Lohia Auto is steadily creating its own niche in the automotive industry.